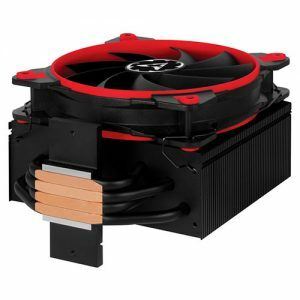 If you’re looking for a competitive market, look no further than budget CPU coolers. Not only are there well-established kings, but there’s always a new cooler entering the fray vying for it’s own position of control. Enter Arctic’s new Freezer 33 eSports ONE. The Freezer 33 eSports one is going up against well known coolers like the Hyper 212 EVO and Cryorig’s hit success the H7. But, does it have what it takes to dethrone the current champion? How does $30 Freezer 33 eSports ONE stack up against it’s well known, great performing adversaries? Well, let’s take a look! 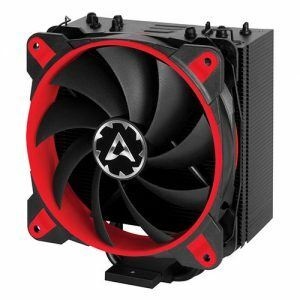 Arctic’s Freezer 33 eSports ONE CPU cooler is a good performing cooler with a near silent fan. It’s not the best CPU cooler out there, but it’s most definitely not the worst either. It’s very much average and that’s not a bad thing by any means. Arctic’s Freezer 33 eSports ONE is the most recent entry into their lineup of high-quality CPU coolers. It comes with a sleek black finish and comes in a variety of different colors, specifically red, blue, green, yellow, or white. The Freezer 33 eSports One does not come with any kind of RGB lighting if that’s what you’re looking for. Out of the box, the Freezer 33 eSports ONE comes with a sleek looking 120mm Bionix PWM (4pin) fan pre-installed. The rest of the contents include a backplate for Intel CPUs, a total of 14 various screws, 2 more wire clips for mounting another fan, 4 extra rubber spacers, 2 aluminum mounting clips, and .8g of Arctic MX-4 thermal paste. My sound level reader / decibel meter died shortly before testing the Freezer 33 eSports one, but once I’m able to replace it I’ll be able to provide an accurate estimate of the noise generated by the stock fan. That said, I can say based on personal experience that the fan is almost unnoticeable under idle and only barely increases in volume under load. The actual heatsink is comprised of 49x .5mm aluminum fins and a relatively standard setup of 4x 6mm copper heat pipes. 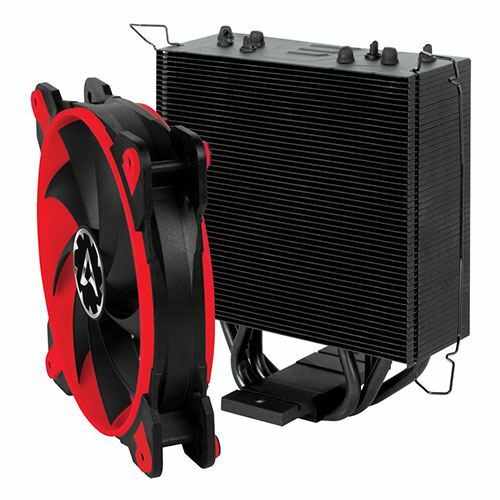 As it’s only 150mm in height, this cooler will fit inside pretty much any build. Everything but the base of the copper piping has been painted semimatte black and it results in very nice aesthetics. Installation is simple enough and only requires a short amount of time. However, it’s worth noting that you will have to remove the fan to mount the heatsink on your CPU. Removing the fan from the heatsink is simple and uses a simple wire clip system that lots of CPU coolers employ. That said, keep an eye on the rubber spacers between the fan and heatsink as they’re prone to falling off quite easily. Arctic’s MX-4 thermal compound comes with the Freezer 33 eSports ONE and it’s great; quite comparable to the well-known and very popular Arctic Silver 5 (no relation to Arctic, Arctic Silver is another brand). In fact, the difference is almost unnoticeable with only a ~2c variance in favor of Silver 5 in most cases. You’re supplied with a small packet filled with .8g of MX-4 of which you should use about half. This is to say, you don’t necessarily need to go and buy an extra tube of TIM. 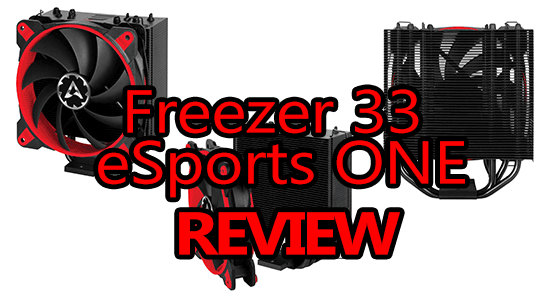 Performance-wise, the Freezer 33 eSports ONE is relatively average. There are many coolers that outperform it, but when cost is considered most of those coolers are also more expensive than the 33 eSports ONE. When comparing it directly to similarly priced coolers, the Freezer 33 eSports ONE still has a hard time standing out from the crowd. 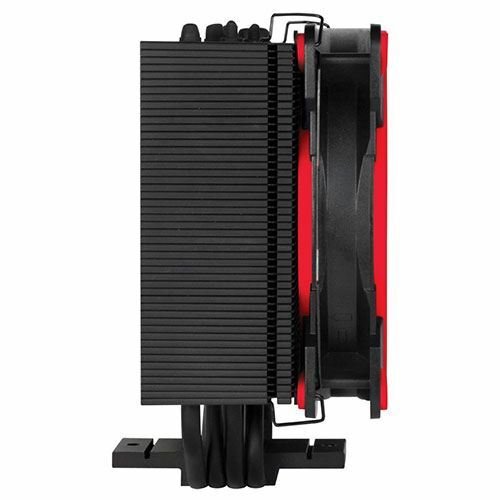 As an example, Cryorig’s well known H7 will deliver consistently lower temps and will fit in all of the same cases that the Freezer 33 eSports one will, for only ~$5 more. However, when you compare the 33 eSports ONE to the Hyper 212 EVO, the balance is much less swayed and the comparison is a tough one to make. Both coolers come in at roughly the same cost (~$30) and both deliver roughly the same performance, under load and at idle. If you like the black finish, the eSports ONE might be the better choice in this instance. As you can see, the Freezer 33 eSports ONE isn’t quite able to compete with a more expensive option like the Noctua NH-D15, but not much can. In terms of similarly priced options, the difference isn’t that significant but it’s worth considering. 60c is a great temp to maintain under load (i7 4790k @ 4.2GHz/1.25v). As you can imagine, when the load increases so does the sound generated by the fan. However, it’s almost unnoticeable and in typical use cases would be easily drown out by the fans on your graphics card. As I mentioned before, my decibel meter gave out right before testing the Freezer 33 eSports ONE so I’m unable to give any actual numerical figures. In conclusion, Arctic’s Freezer 33 eSports ONE isn’t an amazing CPU cooler nor is it a bad one. It’s very much average which is not a bad thing by any means, especially not when the $30 price tag is considered. 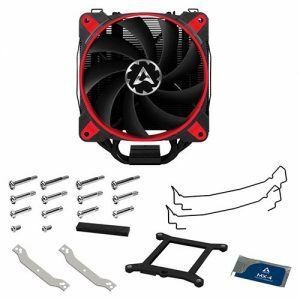 Yes, there are coolers that perform better, but those coolers are also quite a bit more expensive with the exception of the Cryorig H7. As a general rule, a CPU cooler that can keep you under 70c while stress testing is “passable”, under 60c is great, and under 50c is almost unheard of for most air CPU coolers except for the very high-end options. As far as the Freezer 33 eSports ONE goes, I feel it’s a great aesthetic alternative to the more utilitarian looking Hyper 212 EVO as both offer very similar performance but very different looks. The noise generated by the Freezer 33’s fan is barely noticeable and you could easily set it up to run a push/pull config by adding another 120mm fan. 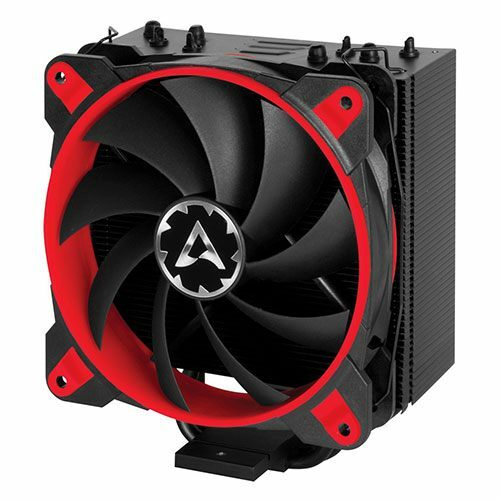 All-in-all, if you’re upgrading your CPU cooling solution and you want a sleek looking cooler that offers good performance compared to similarly priced alternatives, Arctic’s Freezer 33 eSports ONE should definitely be a cooler you consider. It’s not at the top of the tower, but it’s close enough to be worth a look! Will this work in the Vivo case described in the $600 diy build? If so, is it worth it for that build with gtx 1060 graphics. It’ll definitely work, the Vivo V06 has a CPU cooler clearance of 162mm and the Freezer 33 is only 150mm tall. Performance-wise, it’s not necessary for the $600 build, but it would make for a good aesthetic upgrade if nothing else! I believe that Arctic and Arctic Silver are two different companies. I used to think that Arctic Silver was made by Arctic Cooling (now just Arctic) too, but based on what I’ve read on other sites, Arctic Silver is just a separate brand name with no relation to Arctic and its products. Sorry about any confusion I caused!